GNOHA is a practitioner-oriented organization. Member collaboration and a common vision for the preservation and production of affordable housing has enabled GNOHA to be an effective advocate; an advocate with a voice that is being heard, and an advocate that is being invited to the table where policy decisions are being made. HANO’s Small Area Fair Market Rent Study was started in the beginning of the year in effort to get more landlords to accept voucher and get more residents in areas of high opportunity. HANO is currently still offering exemption payments for interested landlords. Master Plan Amendments which increases the density along certain high transit areas, allowing for the development and production of affordable housing near high frequency transit hubs. Increased HUD Budget Allocation from Congress within the fiscal year 2018 omnibus spending package with significant increases for affordable housing and community development programs. 10% overall for HUD programs compared to FY 2017. Sen. Regina Barrow’s SCR 10 and Sen. Ryan Gatti’s Senate Bill 129 (Act 649) are designed to help youth aging out of foster care. The former requests the Department of Children and Family Services begin studying the extension of the age of foster care to age twenty-one; while the other will raise the age to 21 while still in school, so young adults can graduate high school and still receive support from the foster parents, ensuring support as they transition. Sen. JP Morrell Property Tax Bill, SB 164 is a constitutional amendment that required a statewide vote to authorize the phase-in, over a four year period, of increases in ad valorem taxation under certain circumstances, such as the assessed value on a residential property with homestead exemption increasing by greater than 50%. This bill will gives homeowners time to pay their property taxes as their communities are gentrifying at alarming rates. Sen. Ed Price Security Deposit Bill, SB 466 gives tenants the right to recover any portion of their security deposit wrongfully retained, and $300 or twice the amount of the portion of the security deposit wrongfully retained, whichever is greater, starting January 1, 2019. Short Term Rental Interim Zoning District was passed in May 2018 and prohibited any issuance or renewal of a Temporary STR permit or license. Inclusionary Zoning Veto: SB 462 was an attempt to ban municipal and parish governments from establishing inclusionary zoning policies by changing the language to voluntary economic incentive policies. The bill was passed in both the House and Senate. Our collective advocacy against SB 462 eventually led to Gov. John Bel Edwards vetoing the bill. Smart Housing Mix Text Amendments: The Community Development Committee of the City Council unanimously approved the CPC studying the implementation of the Smart Housing Mix, which would establish a mandatory inclusionary zoning policy in New Orleans. New Soft Second Funding available through City of New Orleans partnership with the Finance Authority of New Orleans and utilizing program income from post-Katrina D-CDBG funding program. American Housing and Economic Mobility Act Introduction, which will reduce rent costs and provide greater access to homeownership through first-time homebuyer payment assistance. Neighborhood Housing Advisory Committee Amendments provide effective dates for the term of committee (yearly starting in January), to supplement qualifications for membership, to establish schedules for the conduct of public hearings (starting no later than June 1st of the year), submission of recommendations and other information to the Mayor, Chief Administrative Officer, and to the City Council for approval. The National Flood Insurance Program (NFIP) was extended several times throughout the year with the final extension expiring on May 31, 2019. Affordable Housing Impact Statement: On January 12th, City Council officially adopted the Affordable Housing Impact Statement Ordinance which will serve to inform, educate, and ensure that government process and action do not undermine the goal of the supply and affordability of housing in New Orleans. Smart Housing Mix Study: On February 21st, the City Planning Commission unanimously accepted the inclusion of HousingNOLA’s Smart Housing Mix Study into the CPC’s study on mandatory inclusionary zoning in New Orleans in partnership with Grounded Solutions Network. Opposition to Senate Bill 162: Successfully opposed this legislation, in partnership with Put Housing First and statewide partners, which attempted to weaken the laws that allow for mandatory inclusionary zoning. Opposition to House Bill 676 and House Bill 525: GNOHA pushed for the defeat of these “sanctuary policy” bills that intended to strong-arm local law enforcement into enforcing federal immigration laws that violate the 4th Amendment. 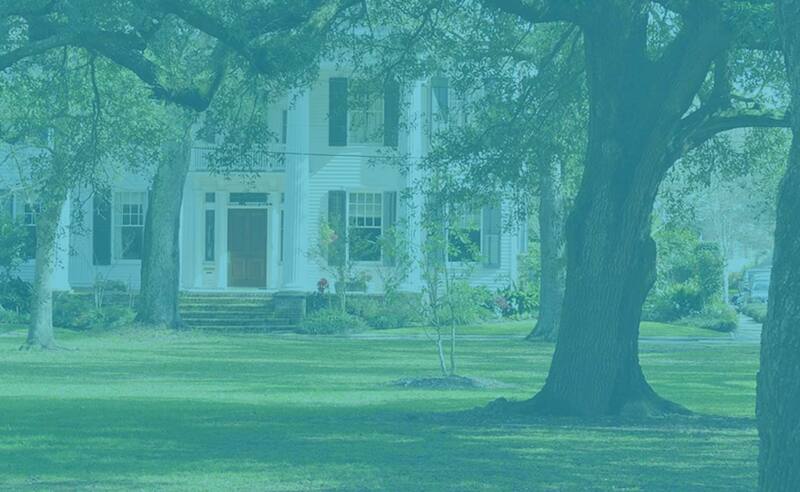 QAP Rural Funding Allocation: In the first draft of the Qualified Allocation Plan, the Louisiana Housing Corporation included a 10 point bonus for projects located in rural areas. There was already a pool of funds dedicated solely for projects in rural areas. GNOHA argued that this 10 point bonus would give rural projects an unfair and unnecessary advantage in the general funds pool, with there being a much greater demand for urban projects. Through our advocacy, the LHC removed this 10 point bonus from the QAP. QAP Choice Neighborhood Planning Grant Areas: GNOHA successfully advocated for the inclusion of implementation grant recipients (aka Treme/Iberville in New Orleans) to receive a 10 point allocation in the Louisiana Housing Corporation's Qualified Allocation Plan. Transit Oriented Development: The City Planning Commission accepted most of HousingNOLA’s recommended amendments on transit oriented development to the City’s Master Plan. HousingNOLA: GNOHA and partners unveiled its official strategy and implementation plan to increase access to affordable housing over the next decade. The plan offers solutions and implementation strategies to address the ongoing city-wide struggle of residents to find affordable housing as median incomes fall and rent, home prices and insurance costs rise. The plan outlines a process to create 3,000 affordable housing opportunities by 2018, for a total of 5,000 housing opportunities by 2021. The HousingNOLA initiative hosted or participated in 35 community engagement events, from the June 2015 Housing Summit to neighborhood association meetings, community roundtables in every district, and other public meetings. Opposition of Alterations to the Density Bonus: Edwards Communities requested an alteration of the existing density bonus to accommodate the construction of 382 apartments on the Lafitte Greenway. By right, Edwards Communities is allowed to build an apartment complex with only 272 units and the density bonus would allow for the increase to 382—provided they include 14 affordable rentals for households at 30% AMI. ($12,600 for one person/16,020 for two/$24,300 for four) Instead of building the affordable units within their complex, Edwards proposed to seed a revolving loan-fund with $644,000 in an attempt to spur the creation of 14 homeowners at the 80% AMI ($33,600, for one/$38,400 for two/$48,000 for four) in the Mid-City Neighborhood. GNOHA wrote a letter explaining how the revolving loan-fund was not a viable replacement for 14 affordable rental units. Shortly after, Edwards rescinded their alteration request and the City Council upheld the CZO's density bonus statutes. Short-term Rentals: GNOHA advocated on behalf of the affordable housing community and long-term residents, in favor of regulating Short-term Rentals as long as a portion of the income collected by the City be dedicated towards affordable housing. Affordable Housing Impact Statement: GNOHA supported the creation of an Affordable Housing Impact Statement and worked with Councilman Brossett to introduce AHIS legislation. Neighborhood Housing Improvement Fund: Successfully advocated for the City's Neighborhood Housing Improvement Fund (NHIF) to be solely dedicated to homeowner and renter rehabilitation in order to create neighborhood stability across the city. GNOHA also supported amending the NHIF to include Short-term Rentals as a revenue source. Inclusionary Zoning: Worked with the City Planning commission to begin a study on mandatory inclusionary zoning. The City Council approved the Smart Housing Mix Ordinance on October 20th, which instructs the CPC to conduct a public hearing and study on the creation and implementation of a Smart Housing Mix Ordinance that leverages market rate development activity to build and preserve lower-priced housing, such as by requiring or incentivizing the addition of lower-priced homes and apartments within otherwise market-rate developments, and to recommend potential changes to the Comprehensive Zoning Ordinance and other applicable codes, if necessary. HANO Criminal Background Checks: Successfully pushed for the Housing Authority of New Orleans to implement and enforce its criminal background check policy that it adopted in 2013. FEMA Flood Zones: GNOHA worked with the Coalition for Sustainable Flood Insurance to advocate for the reclassification of FEMA's flood maps, resulting in the East Bank neighborhoods change to Flood Zone X and a reduction in flood insurance costs. Road Home Action Plan Amendment 65: GNOHA worked closely with HUD and the Office of Community Development Disaster Recovery Unit on Action Plan Amendment 65 which allows still non-compliant Road Home grantees to eligibly claim interim housing expenses incurred while their homes were being rebuilt after Hurricane Katrina, and provides additional construction assistance under certain conditions. These measures are intended to provide additional resources for existing Road Home Program grant recipients to return home and become compliant with the program. Extensive Affordable Housing Funding Advocacy: GNOHA advocated against the reduction of federal funds for affordable housing and community development programs, particularly the HOME program. Senate Bill 174: Supported advocacy efforts that led to the passage of the Louisiana Violence Against Women Act (SB 174) which provides extra housing protections for victims of domestic violence. House Bill 610: GNOHA advocated extensively for the passage of this bill, which applies a uniform tax assessment methodology across the state to remove regulatory barriers to affordable housing development in the places where it is needed the most. Opposition of Senate Bill 288: GNOHA, along with the Mayor's office, rallied extensively against this bill, which failed. This legislation would have repealed HireNOLA which requires certain contractors to prioritize Orleans Parish residents when hiring and to demonstrate good-faith efforts to hire local and disadvantaged workers. Revised Statute 47:305:59 Successfully advocated for the protection of the nonprofit tax exemption for construction materials, which is vital to the continued success of developer organizations. Density Bonuses: Participated in successful advocacy surrounding the City approving density bonuses in the updated Comprehensive Zoning Ordinance. Road Home Community Based Case Management: Working with the offices of Councilmembers Cantrell and Gray, GNOHA successfully advocated that the State fund community-based organizations to help Road Home homeowners finally come home and come into compliance with their covenants. 2015 Special Edition of Neighborhood Partnership Network’s The Trumpet: This issue highlighted housing issues in New Orleans and the HousingNOLA 10 Year Strategy and Implementation Plan. LHC Homeowner Rehabilitation Program: Worked with the Louisiana Housing Corporation - which adopted all of our recommendations - on the creation of the new Homeowner Rehabilitation Program to fund the repair or reconstruction of disaster-damaged homes. GNOHA/CBNO Blight Resource Guide: In partnership with Committee for a Better New Orleans created the Blight Resource Guide which is a comprehensive resource available to individuals, neighborhood associations and community groups to address the ongoing problem of blighted properties in New Orleans. The Guide is meant to provide a starting point for residents and community organizations to learn about the City’s code enforcement process and about the resources available to them. Biggert-Waters Flood Insurance Reform Act: Actively participated in the Coalition for Sustainable Flood Insurance (CSFI) to advocate for the successful passage of the Homeowner Flood Insurance Affordability Act of 2014. This law repeals and modifies certain provisions of the Biggert-Waters Flood Insurance Reform Act and makes additional program changes to other aspects of the National Flood Insurance Program. City’s Soft Second Mortgage Program/Wells Fargo Neighborhood LIFT Program: GNOHA worked with the City, NeighborWorks, and Wells Fargo to provide comments and feedback on program structure for the Neighborhood LIFT program that provides down payment assistance program for qualified buyers. The program promotes sustainable homeownership and neighborhood stability. Opposition to Lower 9th Ward $100 Lot: GNOHA publicly opposed the constitutional amendment on the November 4th ballot due to shortcomings such as program oversight and structure, market demand, and funding mechanisms that if passed would have been detrimental to the neighborhood. The constitutional amendment failed in the statewide vote. Opposition to House Bill 420: GNOHA strongly opposed House Bill 420 that would have established a criteria for valuation of low-income housing property for purposes of assessment of ad valorem taxes. This would have been unfavorable to affordable housing projects that utilize tax credits or HOME funds throughout the state. HB 420 submitted was deferred by Ways and Means Committee and was not re-introduced in the current session.